Blow ups from master design. 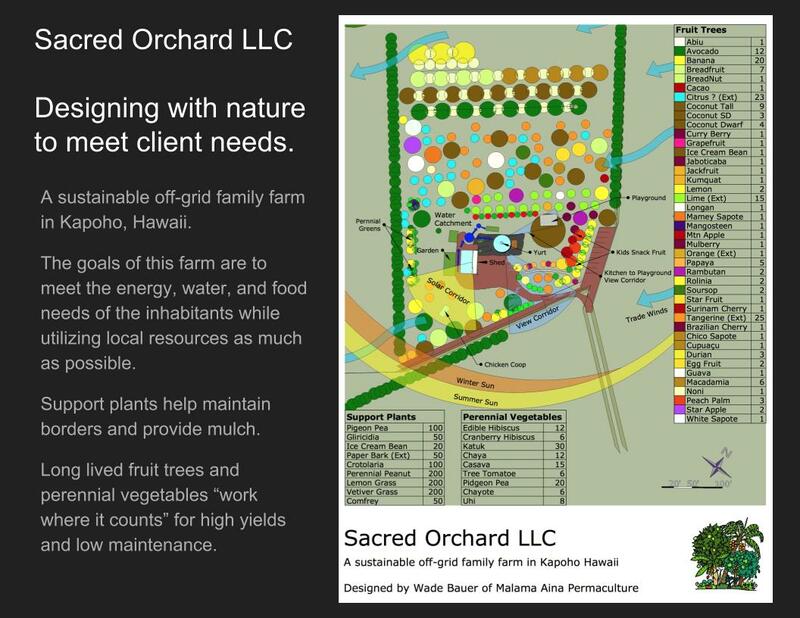 Malama Aina Permaculture is proud of its design collaboration with Kuwili Lani, slated to be the first Agrihood in the state of Hawaii. Q. 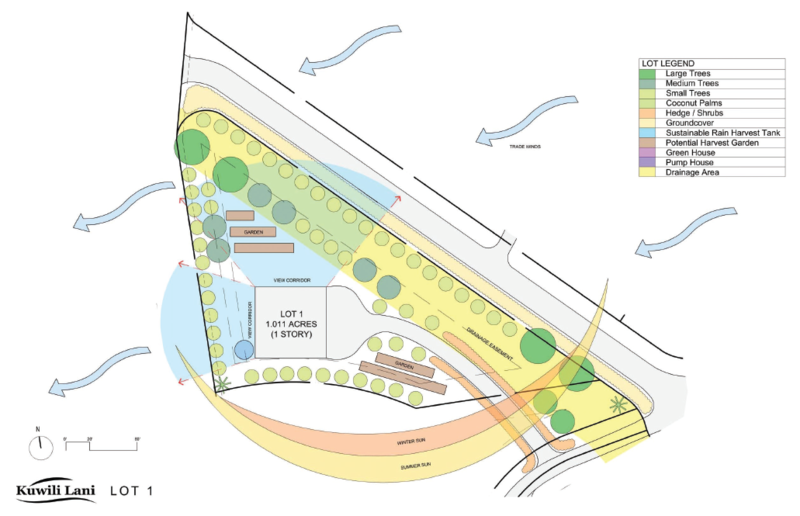 What is an “agrihood”? 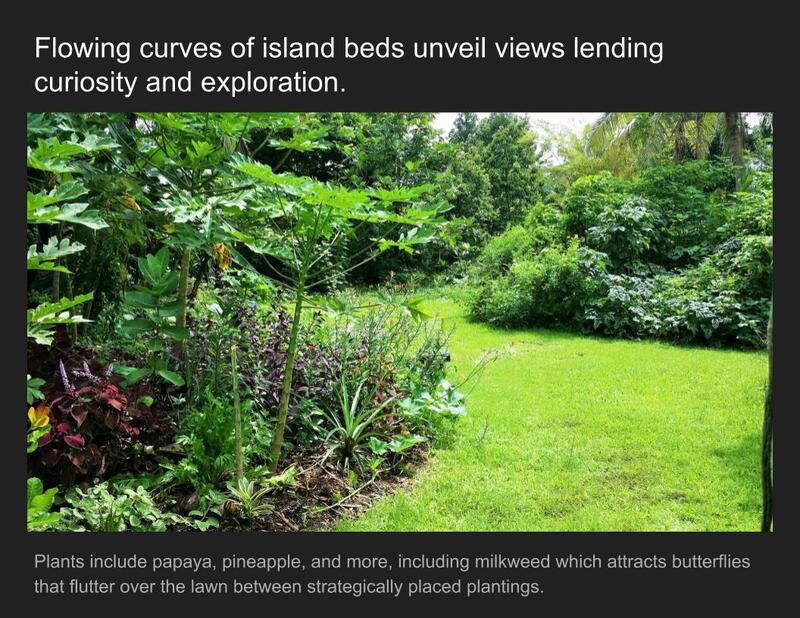 Kuwili Lani is a unique, new kind of development designed to be an “agricultural neighborhood” with its eleven available lots zoned Ag-1 for agricultural use, rather than strictly residential use. 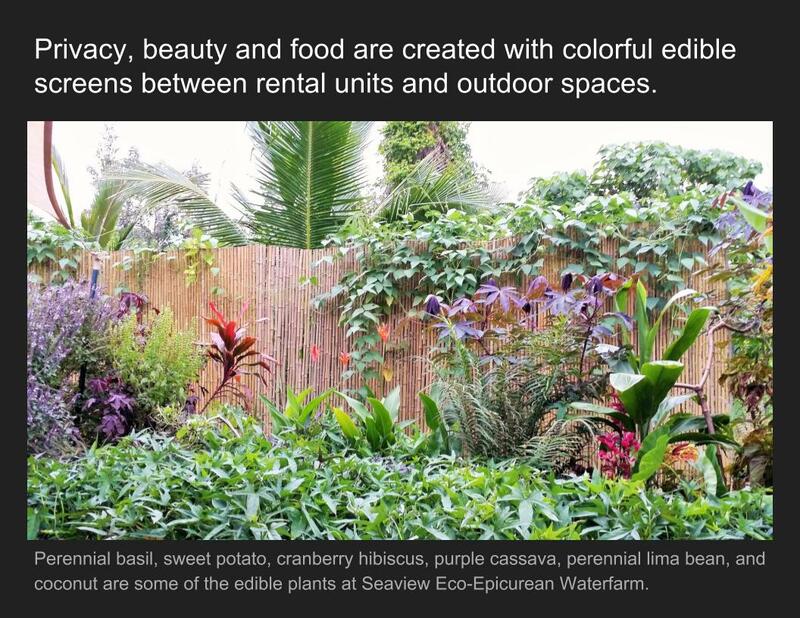 Within this agricultural designation, Kuwili Lani is a planned community based on achieving a sustainable lifestyle. 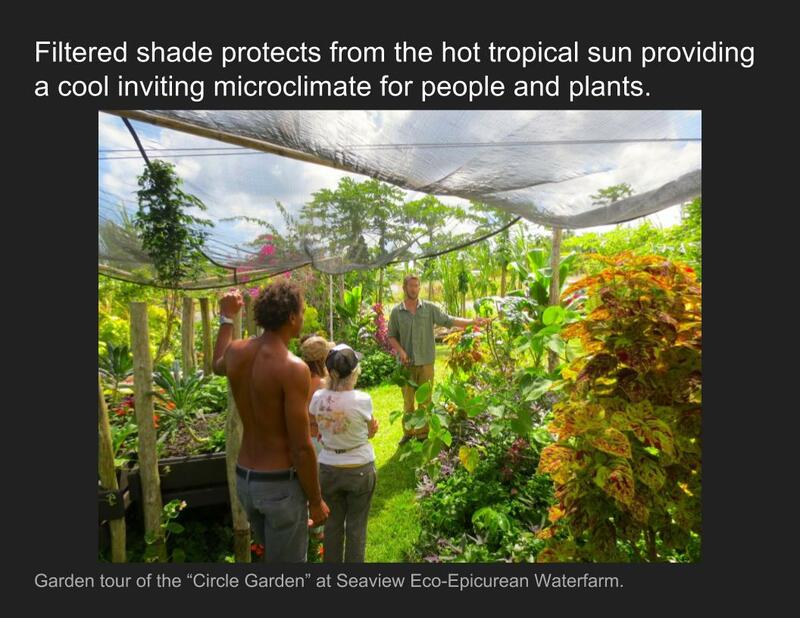 It emphasizes energy efficiency and conservation, wise use of natural resources and independence from the energy grid, while encouraging homeowners to grow their own healthful food (Edible Landscape-Food Security). 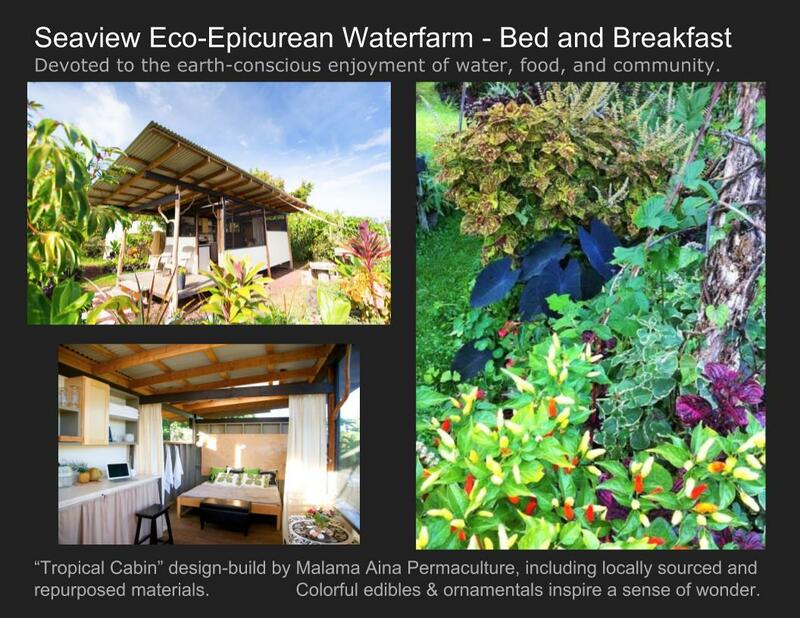 The subdivision truly honors the rich agricultural heritage of the Hamakua Coast. Q. How many lots are there and what size are they? A. 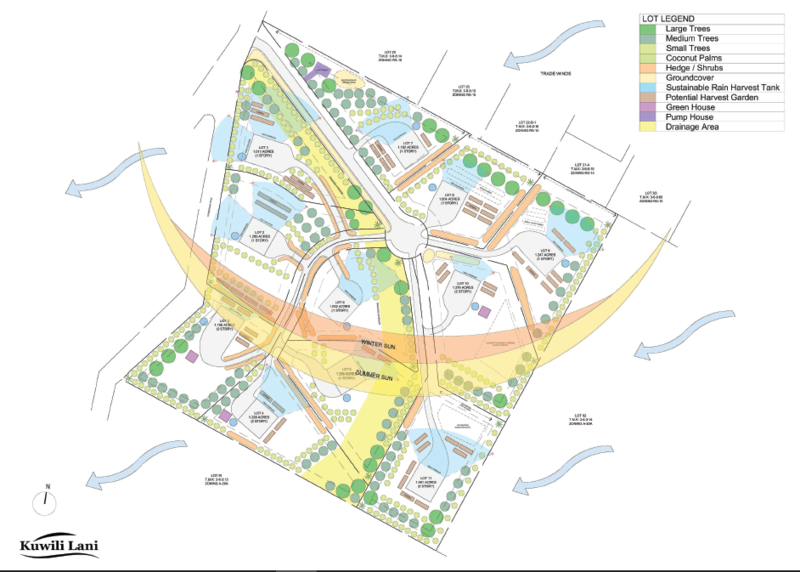 The property is 13.9 acres total, divided into 11 lots, each at least an acre or a bit larger (Zoned Ag-1). The lots average one and a quarter acre each parcel. 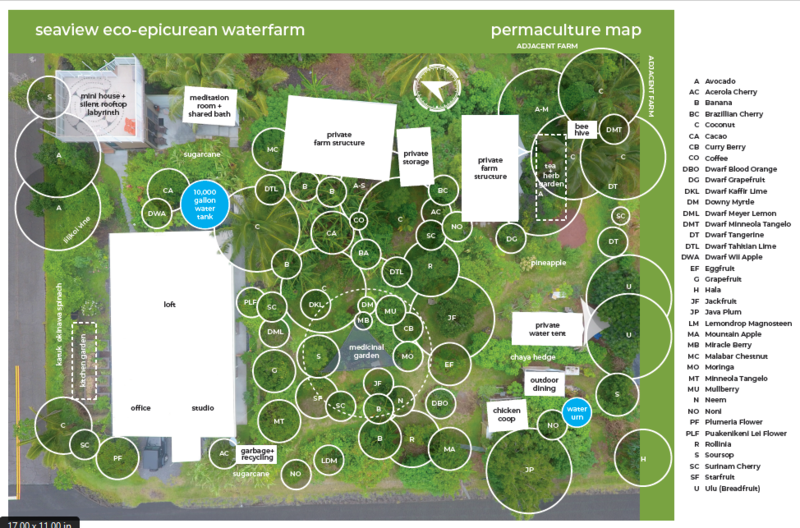 Each of the 11 lots in Kuwili Lani has its own individual map such as the map for lot one below. Special design considerations are given to view corridors on each lot to make sure that ocean views for all 11 lots are preserved. 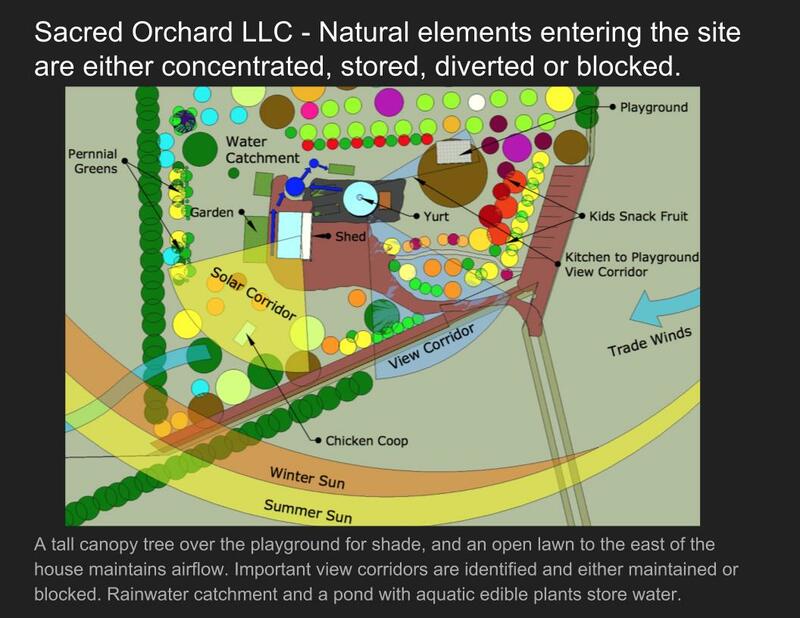 Trees and plants are strategically chosen and placed to provide privacy, food, and beauty to each lot. 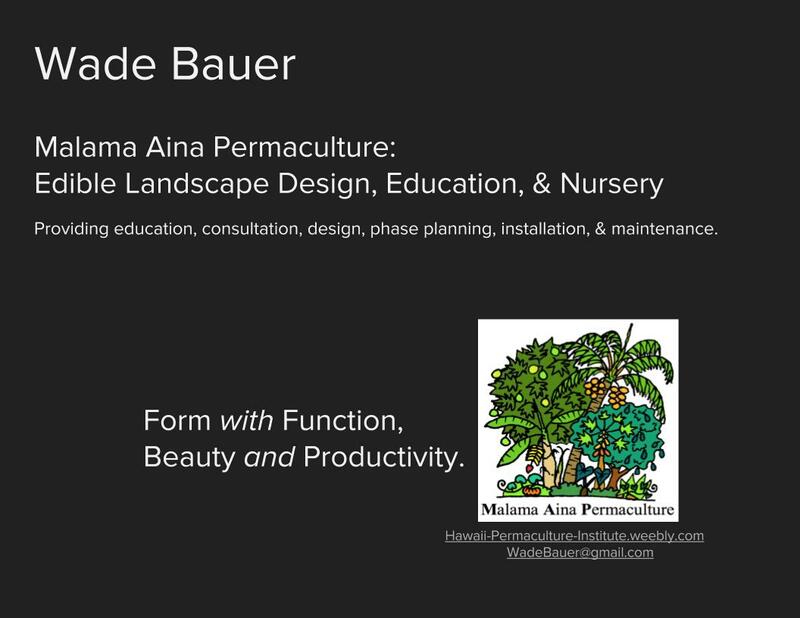 The Water Farm has been a client of Malama Aina Permaculture for around 6 years. This is 2018 drone photography which has been overlayed with mature tree sizes and a key to facilitate tree identification, inventory and future additions. 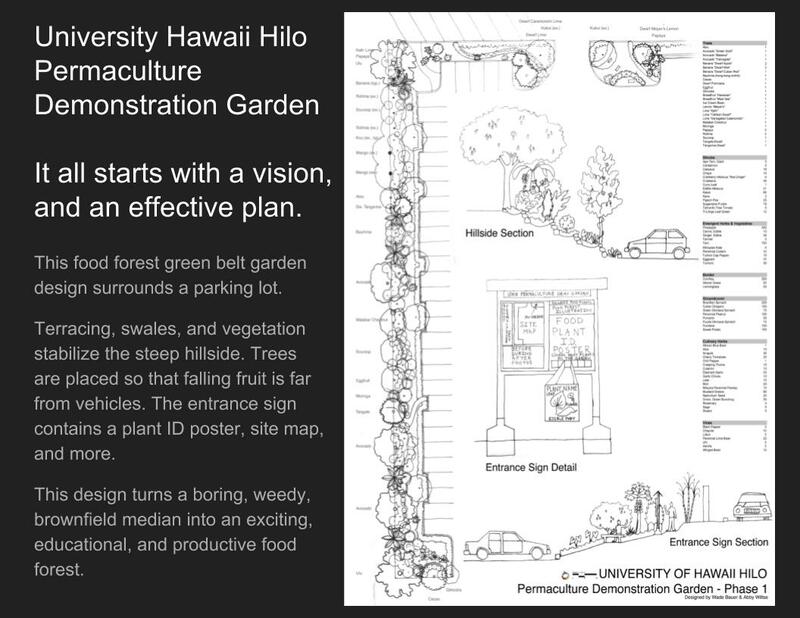 This map along with special tags on trees will help provide educational tours to guests. 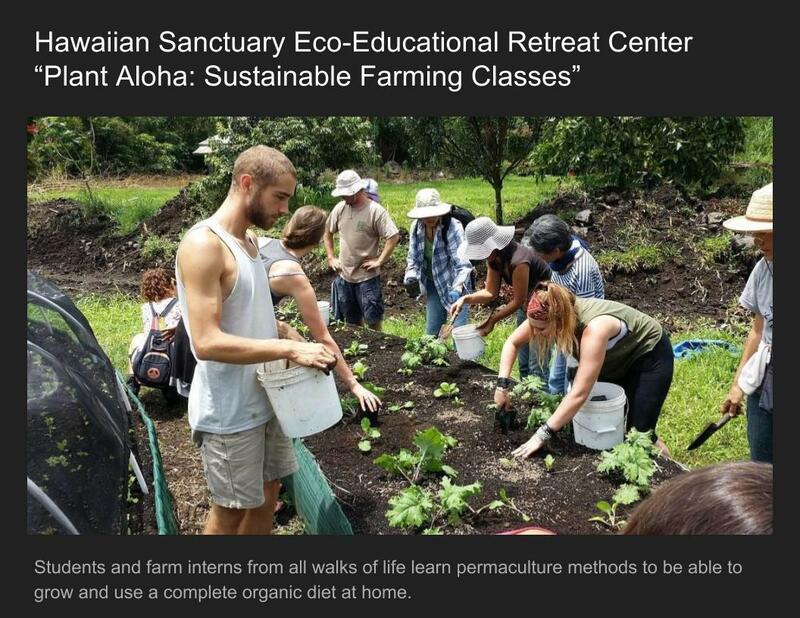 is a 44 acre tropical farm sanctuary and retreat center located in Puna, Big Island, Hawaii. 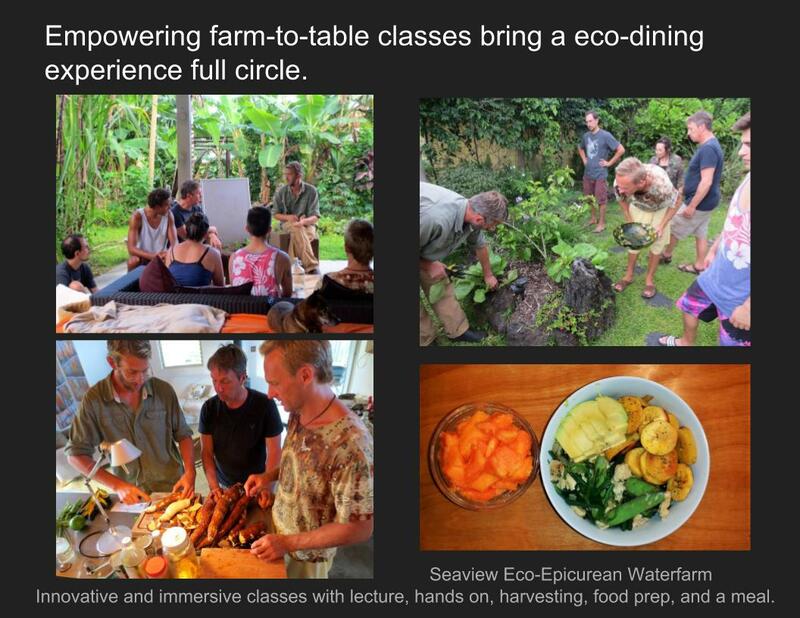 They are dedicated to providing experiential education in the areas of health & wellness, social permaculture, leadership, sustainability and personal & collective growth. 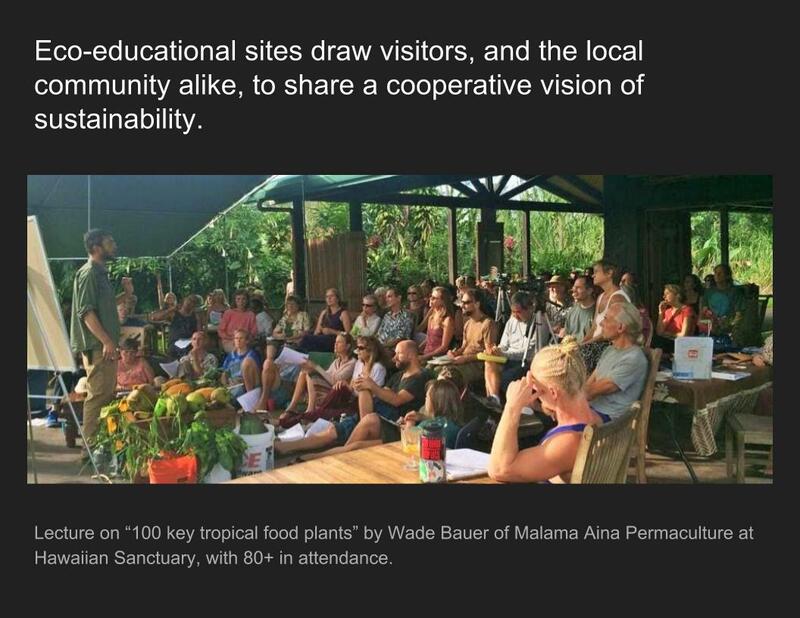 Malama Aina Permaculture has been working with Hawaiian Sanctuary for around 7 years. 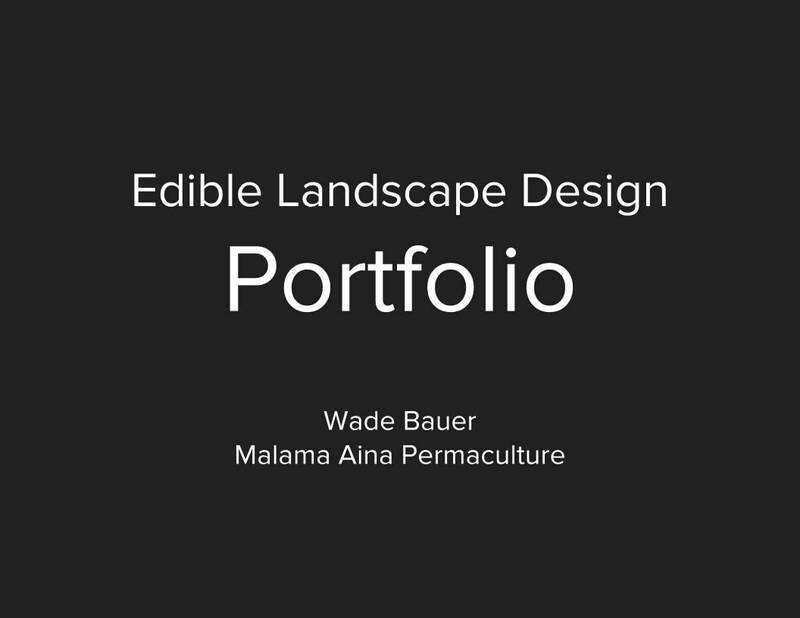 Wade educates interns, teaches classes to the public, manages and provides oversight to the kitchen garden, root crop garden, nursery, and orchards. 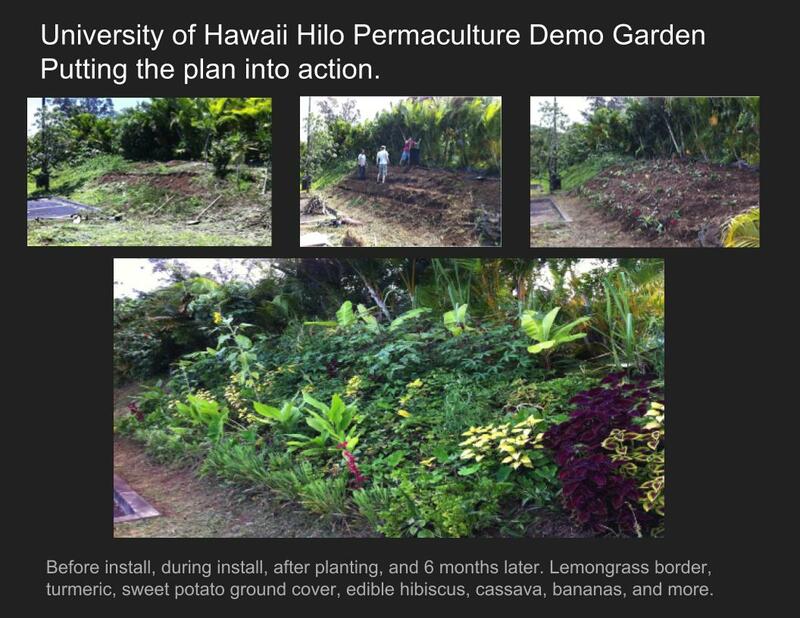 "How to Grow a Complete Diet in Hawaii Using Permaculture"
The goal of this series is to teach Hawaii residents how to efficiently grow their own food at home to provide a fresh organic balanced diet. 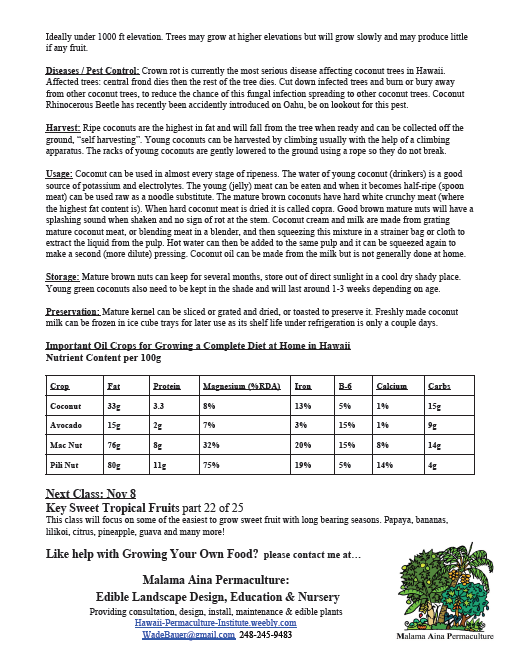 From field or backyard to table all the crops necessary will be covered including their: propagation, cultivation, harvest, preservation, and use. 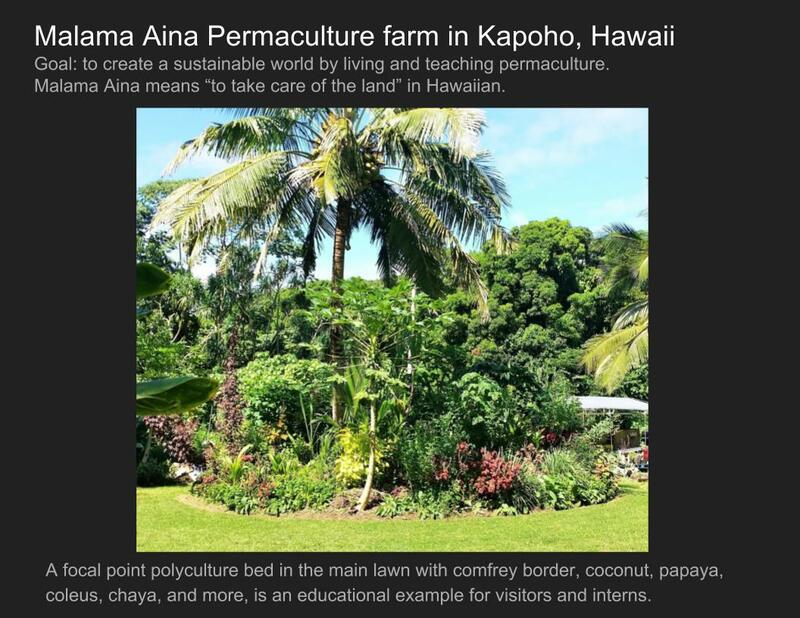 Permaculture tools and techniques focus on easy and practical ways to create food abundance at home! 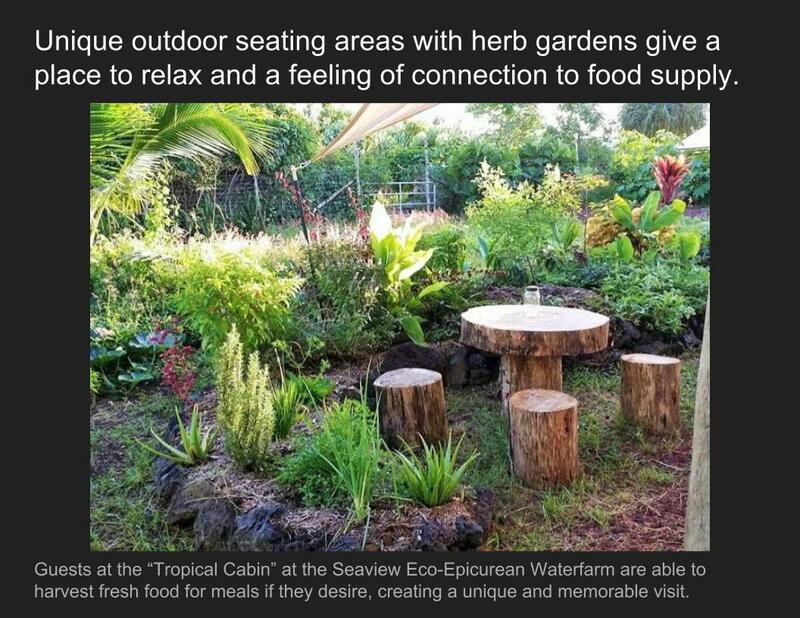 Every 3 hrs class there will be a blend of practical theory, photo rich slideshow, and hands on projects. 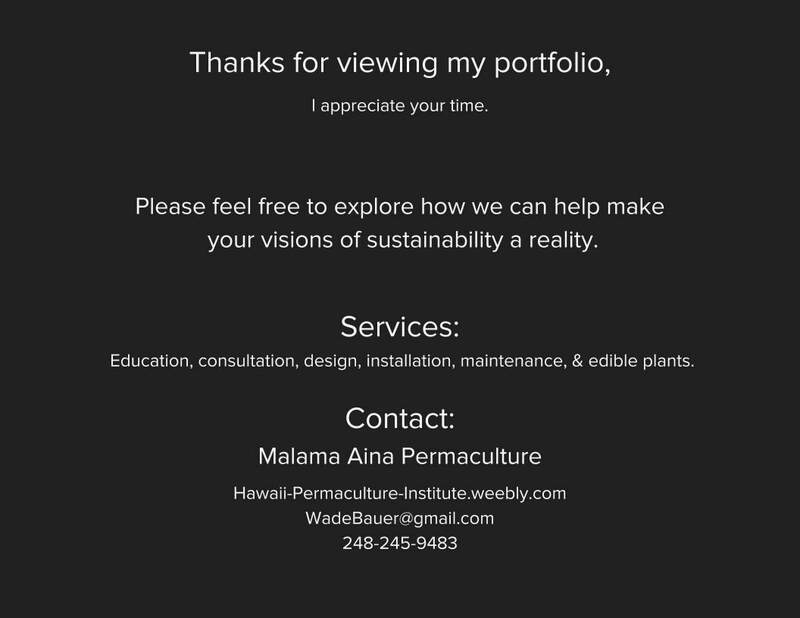 Custom educational handouts are created for most classes by Malama Aina Permaculture to accompany the 1.5 hr power-point slideshow. 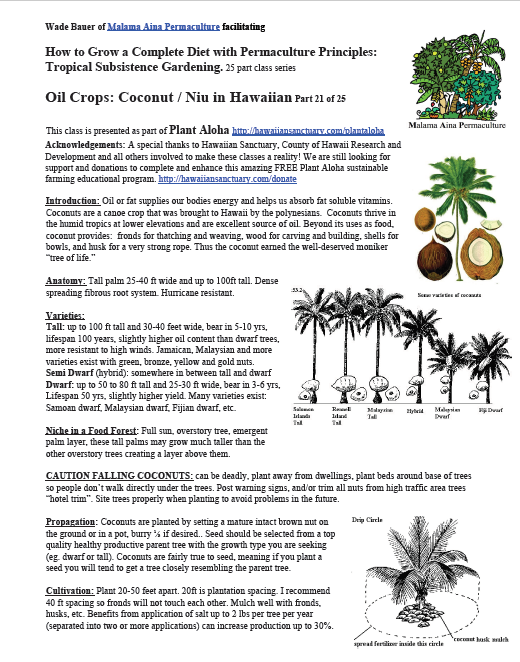 Sample handout below from Coconut Class just one part of the 25 part series "How to Grow a Complete Diet in Hawaii"
Creative, low cost, high impact educational materials are our goal. 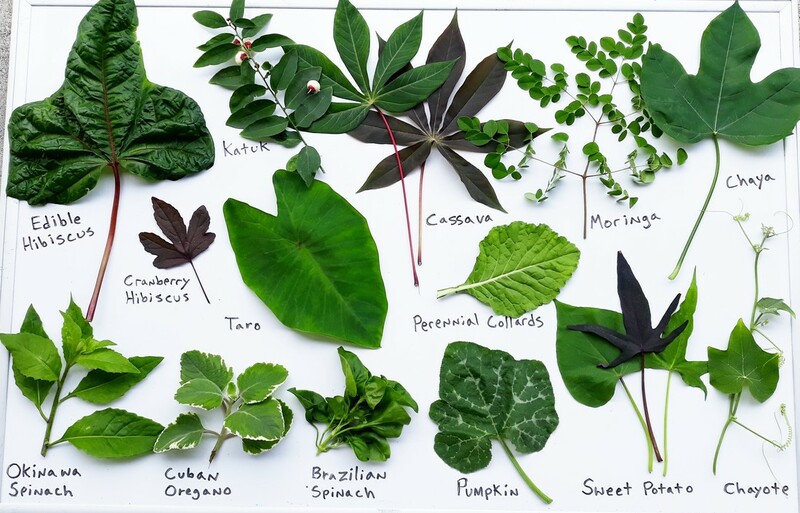 This photo is for Perennial Greens Identification.